Climb on Ammadablam with our experience Sherpa guides. Our Sherpas are well trained to climb on Amadablam peak as well as all mountains of Nepal and other parts of world. Our Sherpas climbed on Amadablam Mountain many times each year. 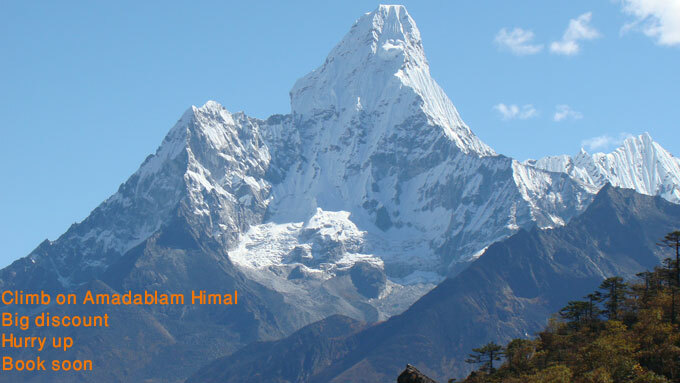 Amadablam is the one of the most beautiful and technical peak or Himalaya in Everest region. If you like climbing adventure, come and join our company we make success your dream of climbing on Himalayas. Our team is waiting you at Amadablam base camp with all climbing gears. You do not have to bring any gears with you.We have cheapest cost for Amadablum peak climbing. We have big discount for 2017. 05 Day:About 2 hours trek to Amadablam base camp. 06-20 Days: Practice and climbing on Amadablam and climbing down to Base camp. 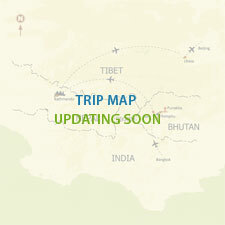 21 Day: Trek Back to Namche. 22 Day: Trek back to Lukla. 23 Day:Fly back to Kathmandu. 24 Day:Drive to airport and fly back to your destination. •Necessary porter for climbing part. Harness, carbine, eight figure, the ice-axe and crampons etc.